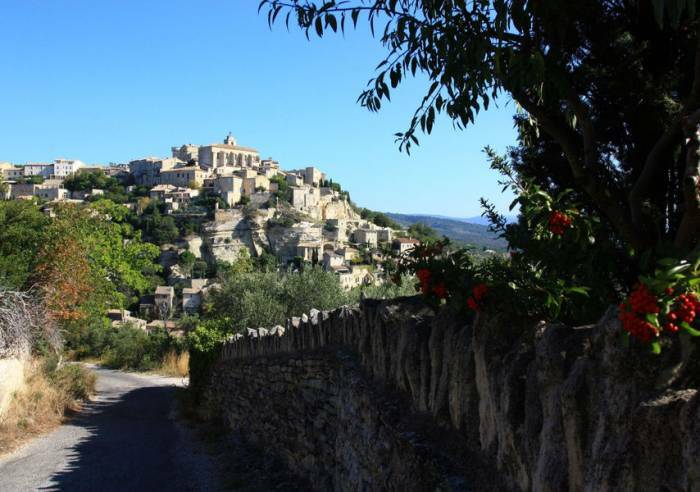 A spectacular village with winding coblestone streets, stands perched on the side of the Vaucluse mountains across from the Luberon mountain range, and springs into view after the last curves in the road. 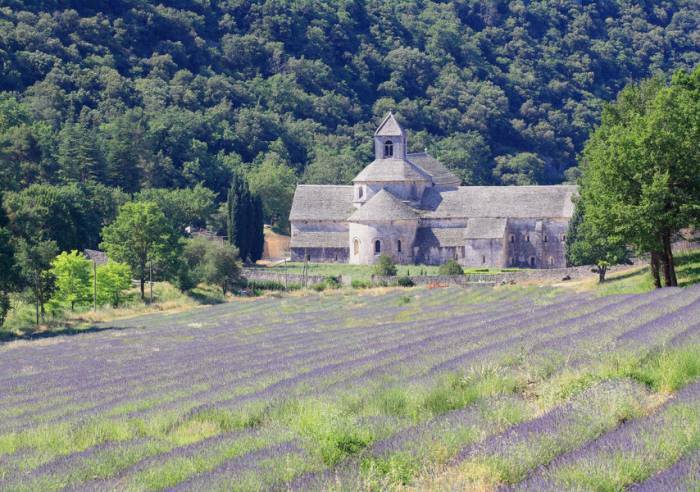 Ranked as one of the 'Most Beautiful Villages in France' , in the heart of the Luberon Regional Natural Park . 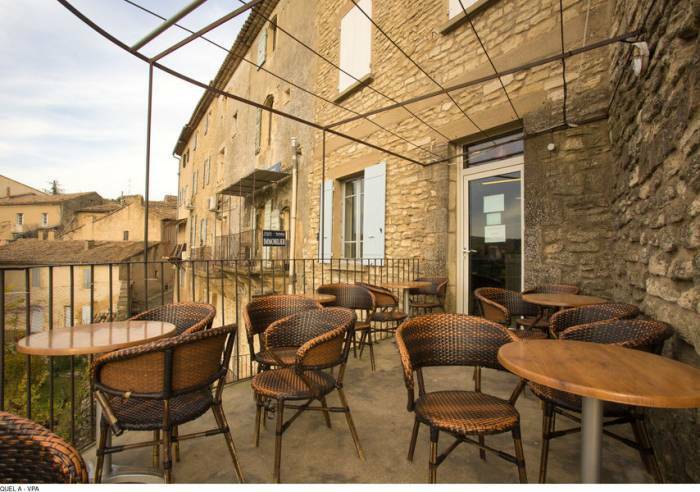 Gordes is a beautiful hilltop village crowned by its Renaissance castle. Houses are built on several levels, and narrow cobblestone streets wind through the town, leading to stairs, a small square with a fountain, and lovely city mansions. Extraordinary harmony, made of stone and natural beauty. 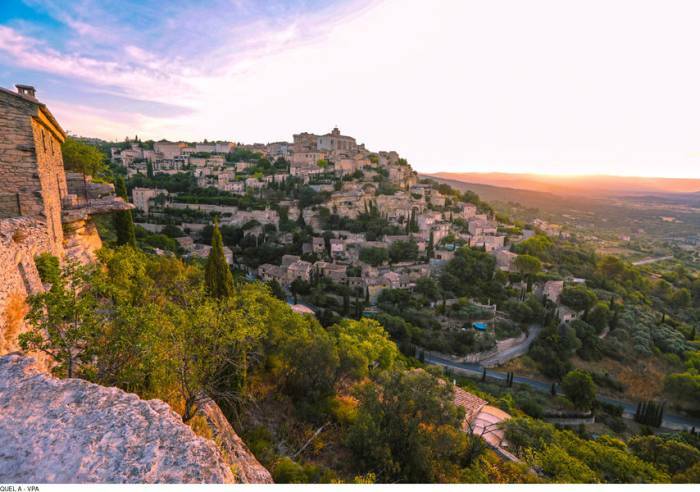 See: Renaissance Gordes castle, the village of Bories (old stone buildings which were used for farming purposes), the Cistercian Abbey Sénanque, the cellars of Saint Firmin Palace with its underground rooms dug into the rock, the Bouillons Mill, the summer festival. 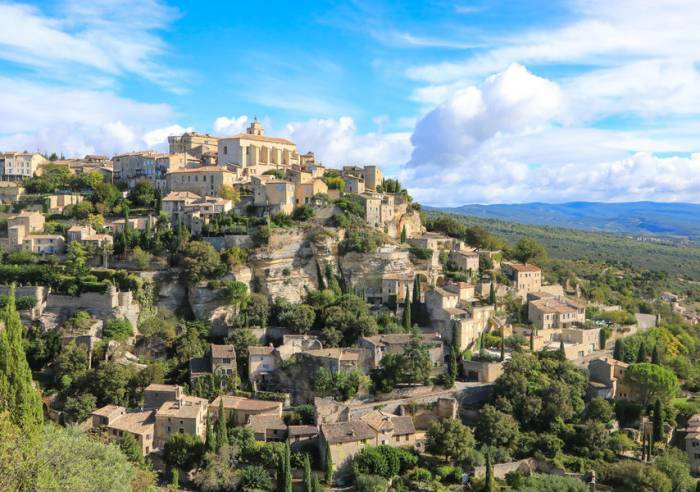 The Château in Gordes was rebuilt in 1525, and already existed in 1031. It has been well preserved and restored, and combines the architecture of the Middle Ages with the new lifestyle brought about by the Renaissance. 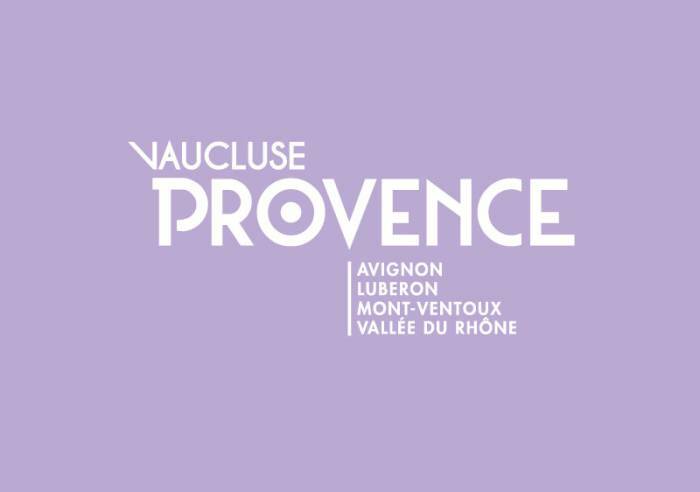 The monumental fireplace in the beautiful Salle d'honneur was classified as a Historical Monument in 1902, as was the the entire Château in 1931.
, Bar, Public WC, Exhibition space, Book shop, Car park, Pay car park, Coach parking, Pets welcome, Room hire, Themed tour, Shop, Wi-fi, Tourist brochures, Tourist information, Cash point, Restaurant, Guided tours, Fast food, Takeaway/cooked dishes, Leisure Center.